STK, Two Year Anniversary & Spring Menu Preview — Denv.Her. STK - Not Your Daddy's Steakhouse! For realsies Denverites - we're still straight obsessed with this place. 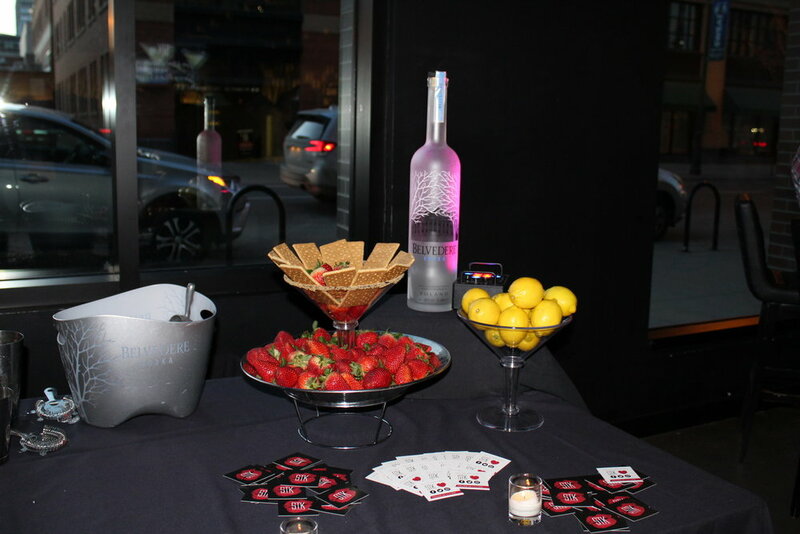 At the Spring Preview, we were able to get a first look & taste of STK’s inventive spring culinary lineup. We were able to taste some of our favorites that have been on the menu since STK's opening as well as some new imaginative entrees & over-the-top desserts. Starting off the night - we imbibed in STK's infamous Strawberry Cobbler cocktail that has dominated their menu for 10 years #cocktailqueen . The Strawberry Cobbler is made with premium vodka, strawberries, simple syrup, sour mix, and then served from a graham cracker crust-rimmed martini glass. Excuse us while we enjoy 5+ of these. Needless to say, the Strawberry Cobbler is freaking delicious and it’s a great spring cocktail to start off with when enjoying the premium dining experience with STK. 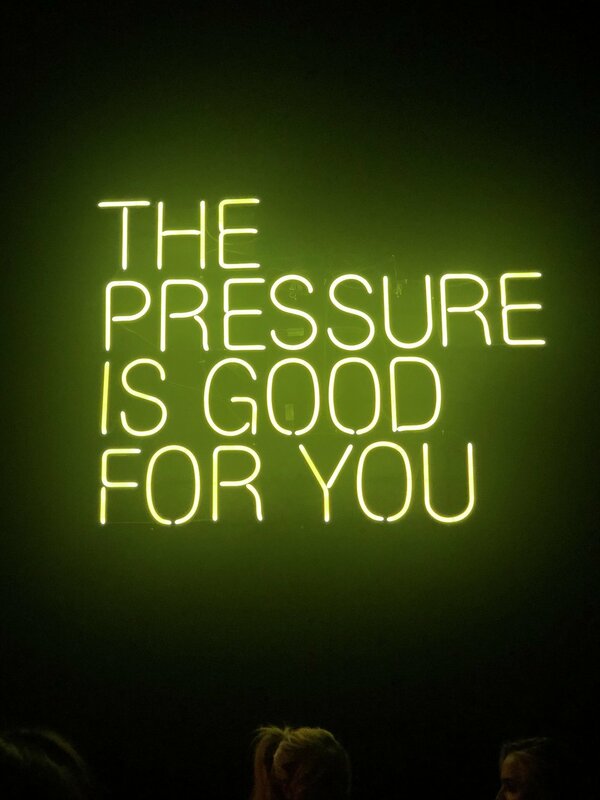 My favorite thing at STK? The Lil BRGs - so obvi this was the first thing I went for during the Spring Preview. You guys, these mini burgers are seriously life and I am not joking. These bad boys are made with waygu beef, topped with special sauce and then served on a sesame seed bun. 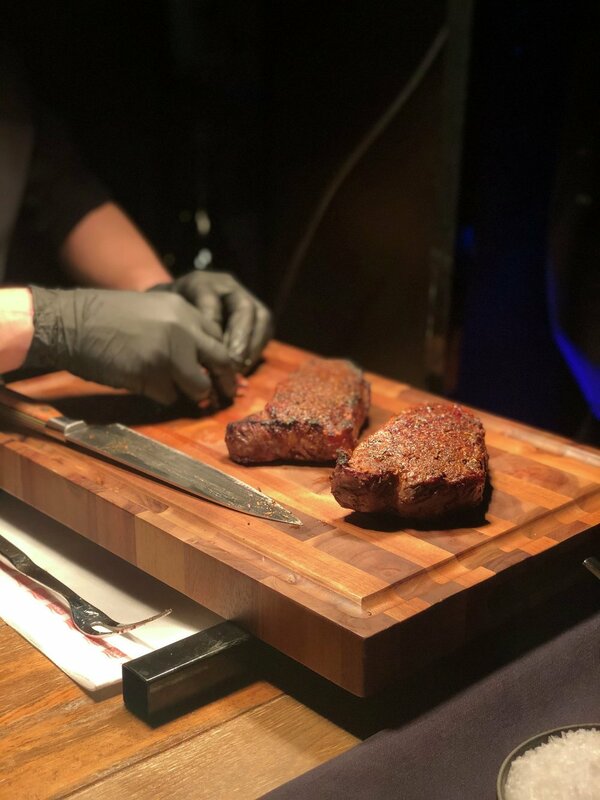 You truly cannot have the STK experience without starting with the Lil BRGs (excuse me for a hot sec while I wipe this drool off of my keyboard #lilbrgsfolyfe #biggestfan). We were also treated to the Tuna Tartare - always another strong app contender. The new spring appetizers included Diver Scallops prepared with buuternut squash arancini, pear beurre blanc, and pomegranate - v refreshing and light. & then a Burrata made from sourdough bread and topped with baby heirloom tomatoes and macadamia nut pesto - v tasty. It was then time for entrees! We had the NY Strip and it was delicious! 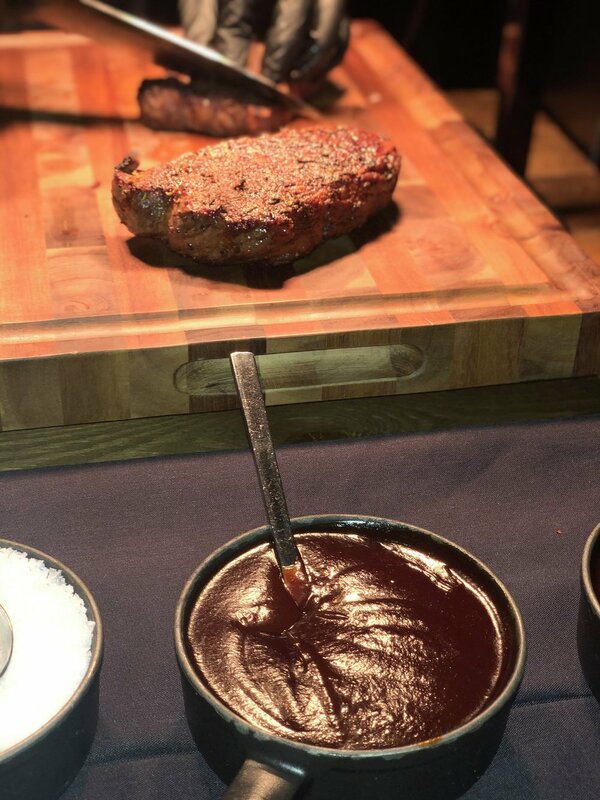 Don't forget to add some of STK's specialty STK sauce to your cut of meat for some flavor differentiation if desired - STK's cuts are certainly in no need of sauce but for my sauce peeps out there, the STK sauce is damn good. A new entree making it’s Spring menu debut is a Roasted Colorado Rack Of Lamb served with truffled carrot puree, roasted beets, spring peas and blood orange. Freaking amazing and my new favorite for Spring - cooked to perfection, SO juicy, & the truffled carrot puree really sends the taste buds soaring. I already can’t wait to go back and have this entree again. Another new spring entree is the Spring Pea Ravioli with prosciutto, mushroom ragoût, parmesan and a lemon preserve component - a super light pasta option with tangy and bright flavor! 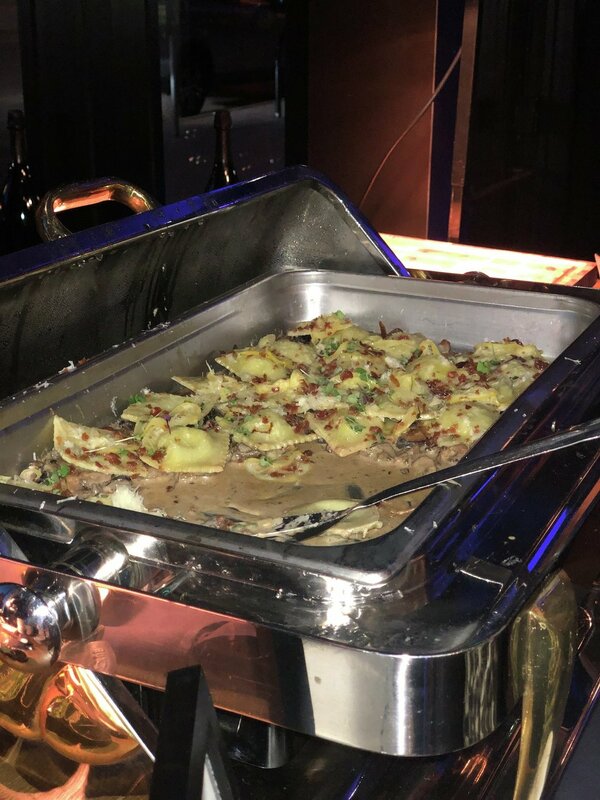 We were then treated to the side of STK's Creamy Yukon Potatoes - there was a beautiful mashed potato bar equipped with all the fixings - you can always expect this side to be piping hot, creamy, buttery and flavorful. While we were eating, STK of course brought out the sparklers and shots #yasplease! 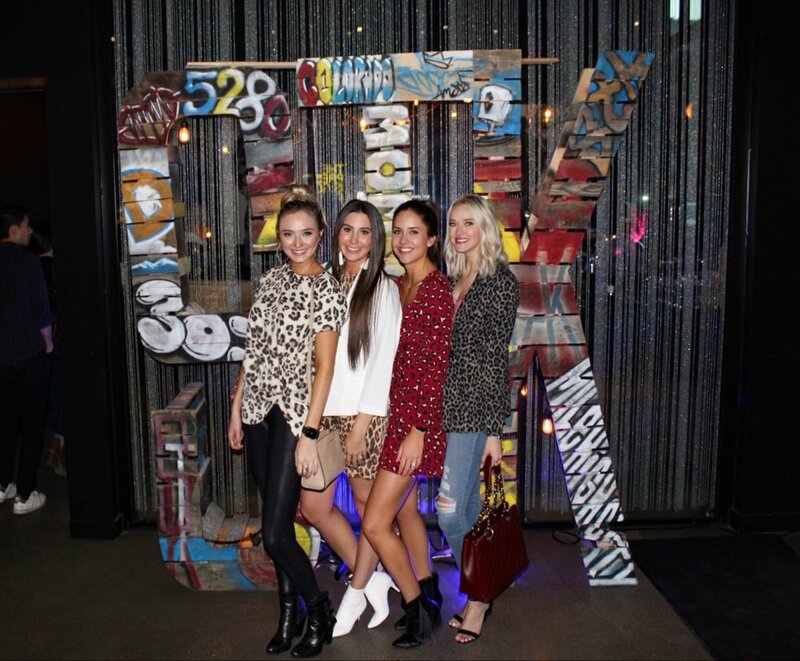 You can always expect STK to bring the energy and fun to each and every dining experience. For dessert, we were spoiled with the cutest little cotton candies and STK's Donuts served with candied pecans and maple glaze #yummay. STK Denver is now open Weekdays from 11:30am-2:30pm for lunch! Get out there for those work lunches and impress your clients by taking them to a social hot spot with amazing food to match. 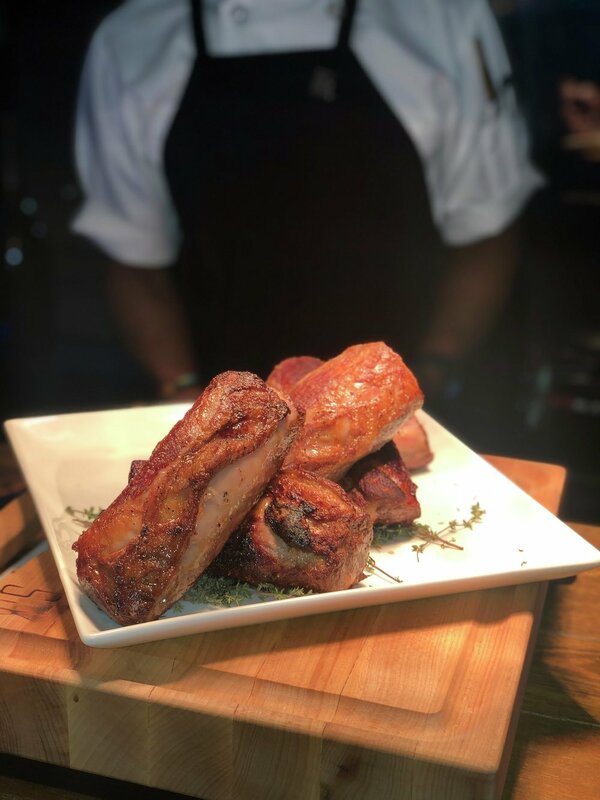 Also keep STK in mind for upcoming holidays - Easter Sunday 4/21 featuring a gourmet buffet, Mother's Day and Father's Day 5/12 and 6/16, 4th of July (which, you better know what date this is without me listing it lol). HUGE thanks to STK and The ONE Group for another incredible dining experience. We can't wait to see you all again soon! STK - Sleek, clubby link in a national chain serving modern chophouse eats & drinks with a side of scene.